There are no quick fixes to the challenges Brexit poses. Berlin and Brussels would do well to take their time and think through the implications, as the task ahead is nothing less than Herculean. The British 52-48 vote to leave the European Union has come as a huge psychological shock for Germany’s political elite. 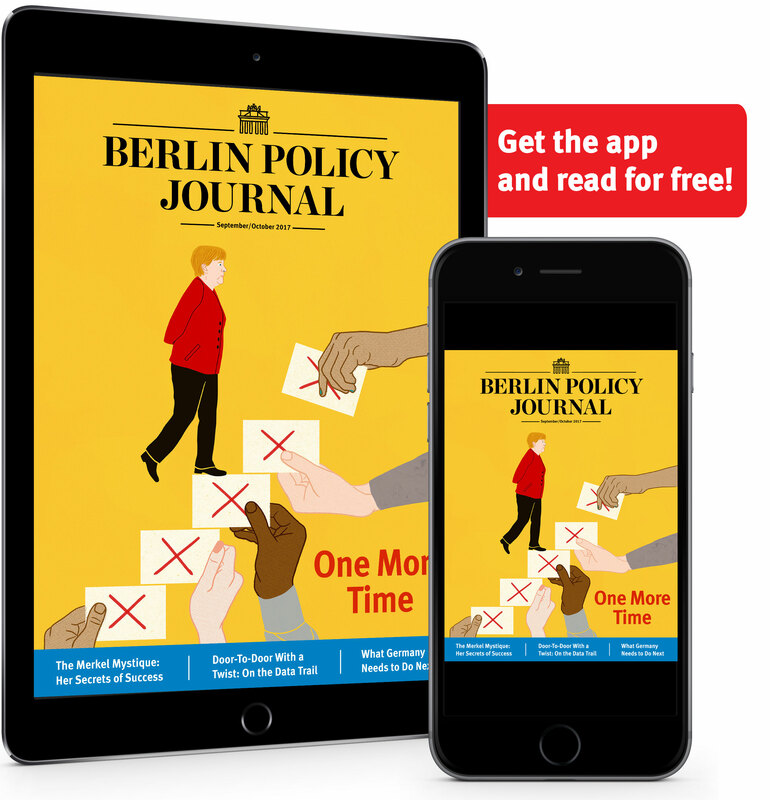 Despite tight polls and extensive debates about possible outcomes, Berlin’s foreign policy circles were convinced before the vote that British pragmatism and economic interests would prevail, if narrowly. First, the EU is faced with a long period of political and economic uncertainty despite Brussels’ desire for a “quick divorce.” The immediate reaction of several EU leaders, including Commission President Jean-Claude Juncker and European Parliament President Martin Schulz, was to call for quick activation of Article 50 of the Lisbon Treaty, setting in motion a two-year exit procedure. Political and legal constraints, however, first and foremost in the UK, point in a different direction. Legally, Article 50 allows any EU member state to leave the union by formally notifying the European Council of its wish. But not right away – the state does not formally leave until either an exit agreement comes into force (with consent from the European Parliament and qualified majority of the remaining member states in the Council) or two years have passed with no such agreement being reached. The time limit can only be extended by unanimous agreement. Translated into political calculations, the EU has to be prepared for a long standoff with the UK. In the short to medium term, this will determine when, or even if, the UK will actually trigger the exit clause. Legally, starting the process is absolutely a sovereign decision of the UK; contrary to the hard line from Brussels immediately after the vote, the EU has no legal power – and few political means – to force the UK to take this step. With the political chaos in Westminster following the Brexit vote, the current UK caretaker government would be highly irresponsible to trigger the two-year limit, especially now that it has become obvious that no one in the leave campaign had concrete plans for exit. But even after a new prime minister is in place in Downing Street, triggering Article 50 could be a long way off. On the one hand, new general elections have not been ruled out, while prominent UK legal scholars argue that triggering Article 50 would require an act of parliament – meaning both the House of Commons, where pro-Remain MPs enjoy a majority, and the even more pro-EU House of Lords – which would take at least another six months, if not more. On the other hand, the activation of Article 50 would signal that the UK will almost definitely leave the EU and worsen the economic outlook. Even with the support of parliament, a new prime minister will therefore think very carefully about when to trigger Article 50, and try to press the EU – especially the German government – for informal negotiations beforehand. To prevent this, the EU and the German government have now stressed that while they accept that triggering Article 50 is a sovereign decision of the UK, they demand it do so at the latest by this autumn, and have declined to engage in any kind of informal negotiations beforehand. Expect both declarations to be tested severely, as a new UK government will try to press as hard as possible to engage in informal negotiations and postpone the activation of the exit clause until the best strategic moment. Second, even after the exit clause is eventually triggered, a delicate balancing act looms for Germany. 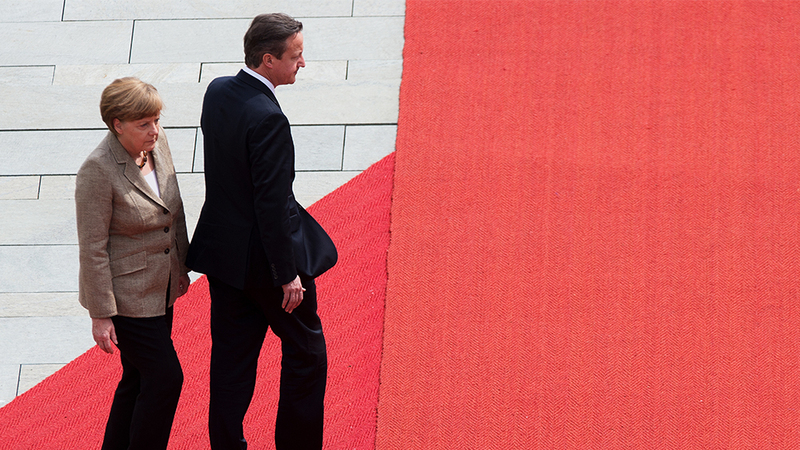 Politically, the UK-EU negotiations need to solve two problems. For one, both sides need to agree on the transition phase, resolving questions like the status of EU citizens in the UK and vice versa, payments into the EU budget, etc. More importantly strategically is the future relationship between the UK and the rest of the EU, including access to the single market and cooperation in foreign and security policy. Legally, however, the exit, in accordance with Article 50, covers only the first part; a separate agreement is needed defining the more general future relationship. Berlin and Brussels have to make two further strategic choices here. The first is whether to negotiate the two agreements together – so that the UK and the EU enter the new arrangements on the day the UK formally exits the EU – or whether to separate them so that the exit agreement can be negotiated and put into place more quickly. This would mean that the UK would spend at least some time with the same status as any other WTO country, implying very severe economic consequences for it, and to a lesser extent for the rest of the EU. London will therefore press for a joint approach, while EU politicians, including current Trade Commissioner Margot Wallström, have already ruled out detailed negotiations on the future trade relationship with the UK before its exit is completed. Germany’s interest will be in the middle – the UK is its third largest export market, and thus the absence of a trade agreement would hit Germanyʼs export-oriented industries severely. However, separating the two agreements and taking a tough negotiating stance would emphasize the real costs of EU exit to others and help complete the exit negotiations within the two-year window in order to keep the EU together. This balance of interests also concerns the second question: on what terms and conditions to cooperate with the UK in the future. With just short of fifty percent of UK exports still going to the EU, any future UK government will have a strong interest in keeping access to the single market. The heads of state and government of the EU-27, however, have already reiterated that full access to the single market is only possible with all four freedoms, including freedom of movement, upheld. Norway, for instance, accepts and implements all EU single market regulations and pays into the EU budget. The leading candidates to succeed David Cameron as prime minister, such as Theresa May, Michael Gove, and Andrea Leadsom, have all already promised to reject free movement as a condition for the single market. Here, the EU-27 need to agree and more importantly stick to a joint negotiation position despite their differing interests vis-à-vis Britain. Third, the UK will remain an awkward partner in the EU for the foreseeable future. In the week immediately following the Brexit vote, the EU-27 heads of state and government met for the first time at the European Council. This will remain an informal format; until the exit is formally concluded, the UK will legally remain a part of the EU, with all its rights and duties, including its votes and vetoes in the Council of Ministers, the right to participate in formal Council meetings, and the right to appoint a commissioner as well as vote on members of the European Parliament. Germany and the other member states will therefore need to compel the UK into a gentlemen’s agreement to avoid two risks. On the one hand, the UK could be tempted to use its veto powers in order to press its interests in the exit negotiations. While many policy areas for the EU now allow for qualified majority voting, a general policy of blockade could even further hamper the EU’s ability to act, especially in areas requiring unanimity such as decisions on sanctions against Russia or the long-term financial framework of the EU. On the other hand, the risk exists that due to the very long exit negotiations and the promises made by the Leave campaign to the British people, the UK government may willingly hold back on implementing – or even actively undermine – EU rules and regulations, most notably concerning the free movement of EU citizens. Fourth, the Scottish question will further complicate negotiations for the British – but also for the Europeans. Although the Scottish voted in their independence referendum in 2014 in favor of staying within the United Kingdom, the EU referendum has significantly changed the debate – in contrast to the UK as a whole, the Scottish people voted by 62 percent in favor of remaining in the EU, and now fear being taken out of the European Union against their will. Equally significant, this outcome has underlined the main argument of the Scottish National Party (SNP), namely that in the UK the democratic choices of Scotland are regularly ignored and overruled by the English majority. Scotland’s First Minister Nicola Sturgeon (SNP) has therefore already declared that she will do everything in her power to ensure Scotland’s continued place in the European Union. In the short term, this will include direct talks with the EU and other member states to gauge sentiment on a solution wherein Scotland remains fully integrated in the EU while still a part of the UK. If that fails, the SNP has already announced that it will push for a second independence referendum. For the UK, this means that, in addition to the negotiations with the EU, the new government will have to carefully negotiate to ensure the survival of the United Kingdom. A second independence referendum would require the consent of the UK parliament; but as tensions grow, the United Kingdom may be hard to sustain if Scotland does not at least get more autonomy to negotiate a special deal with the EU. For the EU and its member states, though, this is also difficult for other reasons. On the one hand, Brussels will now be tempted to support Scottish interests to remain in the EU to underline the continued interest in the European project. On the other, the independence referendum is not only a matter for the internal politics of the UK – it touches upon regional secessionist movements in other EU countries, in particular Spain’s Catalonia. Fifth, the overriding challenge will be to address the question of democratic legitimacy and EU reform. The British vote to leave the EU was not an isolated vote of no confidence. Quite the contrary: euroskeptic parties have been on the rise in almost all EU member states in recent years. Although not all of them necessary call for an end to the EU – some, like the True Finns in Finland and the Danish People’s Party, are merely against further integration – the arguments employed by the Leave campaign on migration, mistrust in political and economic elites, and national identity and sovereignty resonate in all of these parties. Unsurprisingly, in the hours and days after the Brexit vote, Marine Le Pen in France, Geert Wilders in the Netherlands, and Norbert Hofer in Austria, among others, called for their own EU exit referendums in their respective countries. In the former two countries there are also national elections next year, while the Austrian presidential elections in which Hofer very narrowly lost have to be repeated, presumably later in 2016. In short, in core EU member states, political elites will have to explain why their countries should remain in the EU. At the same time, deficits in the eurozone and the Schengen system remain problematic. In the more than seven years since the start of the eurozone debt crisis, the EU has not yet been able to repair the fundamental structural flaws within the economic and monetary union. Unsurprisingly, the Brexit vote has therefore been used by politicians across Europe to claim that their unique vision of EU reform has been made paramount – the German finance ministry calls for stricter budgetary control, the Greek prime minister for the end of austerity, the French and German foreign ministers for closer cooperation in security and defense, and the Polish and Hungarian prime ministers for a return to a more intergovernmental EU. In short, while almost all EU leaders agree on the need to reform the EU, interests and visions on the future direction are more divided than before the Brexit vote. Sixth and last but not least, a UK exit puts the German question back on the table with renewed force. As the third largest member state with the second largest economy and distinct political interests, the UK was and is a major balancing factor in the power relations between EU member states. Just like in the eurozone, an EU without Britain foists greater responsibility on France and Germany. 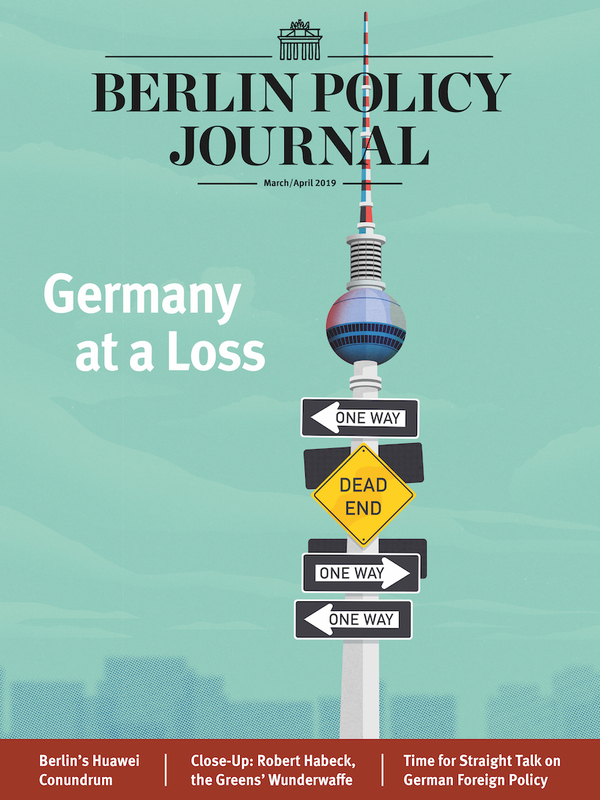 However, as long as France remains in a politically and economically weakened position, Berlin will be called upon to provide leadership for the EU. 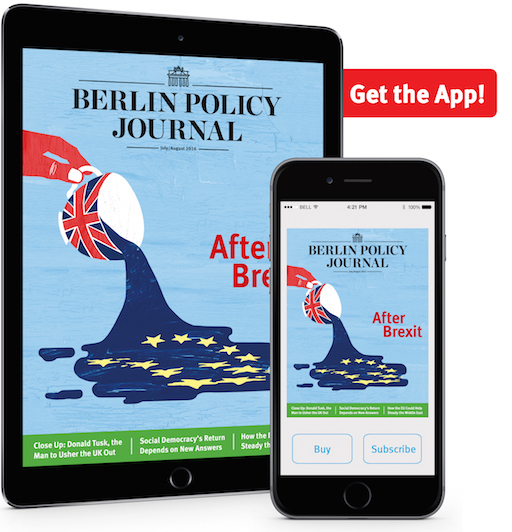 Structurally, Germany is closer than France in economic and foreign policy to the UK, so most of London’s close partners in the EU will likely shift toward Berlin rather than Paris. The one exception to this is the area of foreign, security, and defense policy, where France is already carrying the greatest burden in the EU and has repeatedly called for greater German involvement. Here as well the German government will be called upon to do more to strengthen the EU after – and even during – a British exit. In both cases, the other member states will call for more German leadership and be wary of it at the same time. With the UK vote to leave, it is clear that the debate on the future of the EU – including Britain’s place in it – has just started. Looking at the political and legal tasks ahead, the German government should indeed prepare for a process that takes years rather than months. Instead of pushing for a quick Brexit or calling for integration for the sake of showing that the EU still works, the imperative should now be to provide leadership with strategic patience. This patience will be crucial in bringing together all these different negotiations, political as well as legal, and keeping unity among the now-27 member states – a necessary, if Herculean task. is Head of the European Research Division at the German Institute for International and Security Studies (SWP) in Berlin.